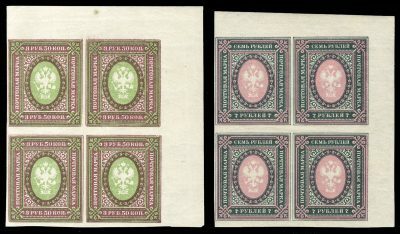 1919 (horizontal lozenges) 3.50r and 7r imperforate upper right sheet corner blocks of four, n.h. and post office fresh, v.f., 7r with 1998 Mandrovski certificate. One of only three sets of blocks recorded. (Zverev CV $35,000). The Cherrystone’s lot, Zagorsky collection 2014. 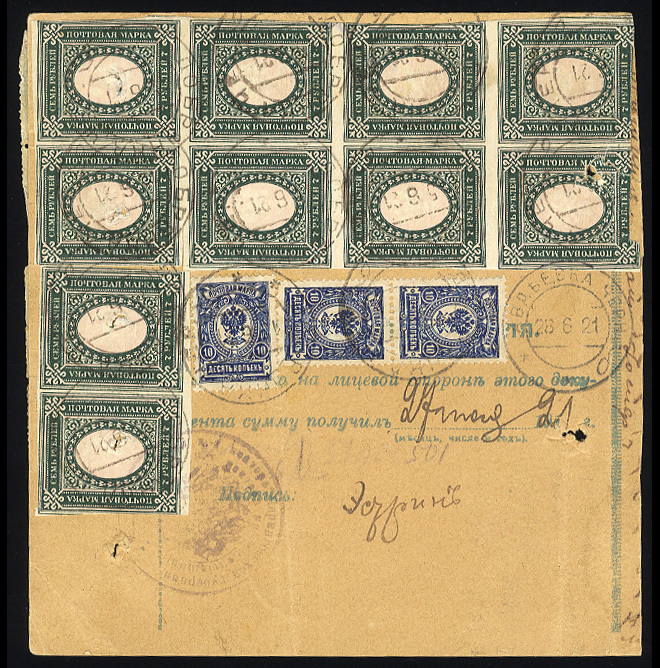 1919 (horizontal lozenges) 7r imperforate horizontal pair and block of eight, used with additional franking (perforated 10k dark blue single, vertical pair and block of 10 on reverse, some faults) on Postal Money Order (for 10,000 rubles) sent from “Dobrjanka” (Chernigov gov.) on 15 June 1921 to the village of Andreevka, arriving on 23rd June. There are punched cancels affecting top and bottom stamps (also cut in), leaving a sound block of four. 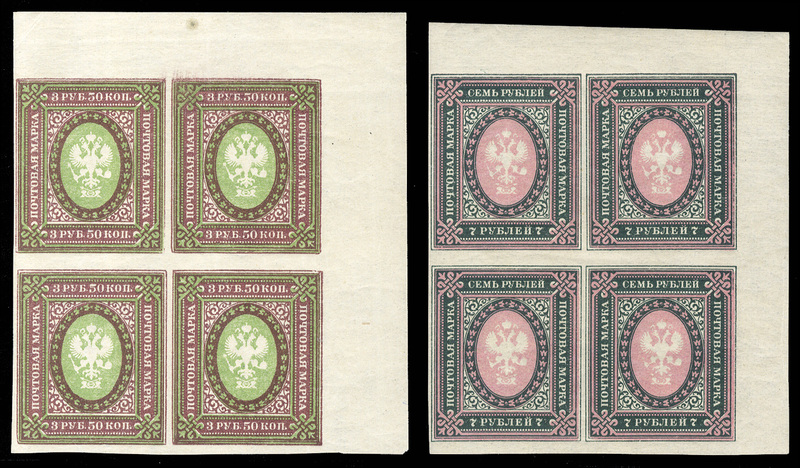 This remarkable franking, consisting of ten imperf. 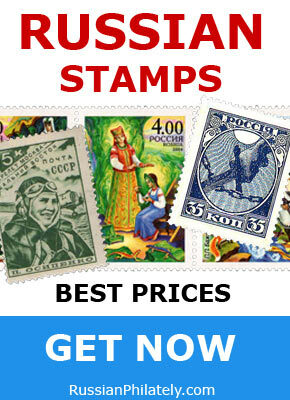 examples of this rare stamp is stated to be unique. The Cherrystone’s lot, Zagorsky collection 2014.